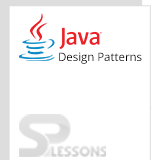 Chain Of Responsibilities Pattern is a Behavioral Pattern mainly used to decouple the requests. The request from the client is passed through a set of objects that decide whether to send the request to the next object or not. Each object contains the reference of another object. 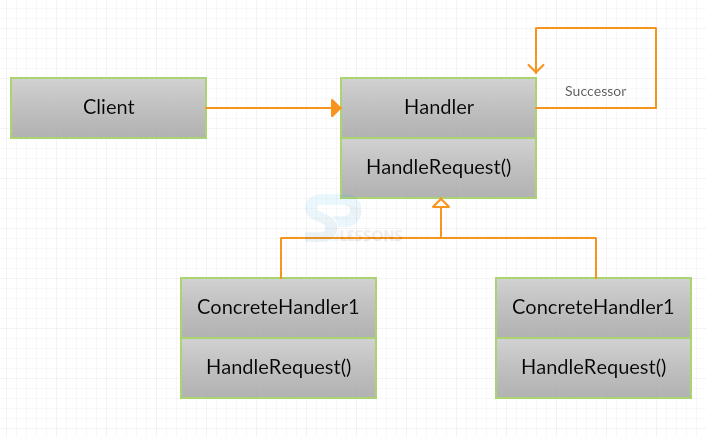 If a object cannot process the request, then it is transferred to the next object and forms a chain structure. An object oriented link is formed in the pattern. Chain of responsibilities pattern can be used as command. The handler object is not revealed. The request is handled automatically. Each object in the chain will have its own implementation. Handler: Handler is used to define an interface for handling the requests. ConcreteHandle: Concretehandle is used for requesting its responsibilities. Client: Client sends the command to the first object in the chain, which will handle the command. Creating a class Value which will request the object. Chain Of Responsibility Pattern – Creating a class ZeroValue to implement the interface Chain and this class acts as another link in the chain. Creating a class PositiveProcessor to implement the interface Chain and this class acts as another link to the chain. Chain Of Responsibility Pattern – Creating a main class Chain and configuration of chain is done. Decoupling of requests can be done easily. Using Chain of responsibilities, request can be passed between the objects easily. User will not know which process is processing the request.